This is the first book by Laurie Alice Eakes I’ve read, and I thoroughly enjoyed her story and her writing style. She expertly uses her talent for painting vivid word pictures, both physical and emotional, so you feel like you are there in the midst of the adventure. I particularly enjoyed the historical aspect of the time period and the profession of midwifery. I like the way she hints at the mystery and suspense without giving too much away early in the book. Although the romantic outcome seemed somewhat predictable, there were enough twists and suspense to keep you reading and see if your guess was correct. 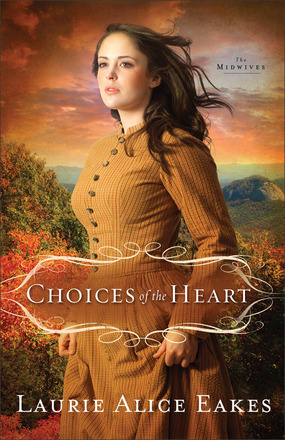 Choices of the Heart is a captivating story of loss, faith and redemption. Mid-nineteenth century Appalachia saw four families caught up in a feud that resulted in fifteen deaths in ten years. Esther Cherrett, the heroine and daughter of a local pastor, decided to leave her beloved hometown of Seabourne, Virginia and her precious parents to spare them controversy and embarrassment for which she blames herself. Oblivious to the tensions in the mountains, Esther accepts a teaching position there. Griff Tolliver, Lizbeth Tolliver’s eldest son, took a shine to Esther the minute he met her. However, he vowed to not court her, because his cousin, Zach, expressed a desire to do so, and outright competition could ignite the feud all over again. Lizbeth Tolliver, Griff’s mother, wanted a better life for her children, so she advertised for a teaching position. Esther answered, and accepted the job to teach the children in the settlement. 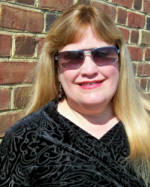 However, Mrs. Tolliver neglected to mention the history of feuding in the area. Zachary Brooks felt jealous of the attention he felt Esther was getting from his cousin, Griff. Could his envy be strong enough to start the family feud all over again? Hannah Goshnoll, Zach’s sister, married Henry Goshnoll, whose reputation was well-known amongst the local folk. Hannah, however, was determined to make her marriage work. Bethann Tolliver, Griff’s sister, was sickly and obviously emotionally troubled. Why wouldn’t she confide in Esther who could help her, or even her family? “Eakes has a charming way of making her novels come to life without being over the top,” writes Romantic times of bestselling, award-winning author Laurie Alice Eakes. Since she lay in bed as a child telling herself stories, she has fulfilled her dream of becoming a published author with a dozen books and novellas in print and more on the way. A graduate of Asbury University and Seton Hill University’s Writing Popular Fiction graduate program, she also teaches writing and gives inspirational talks to women’s groups. She lives in Texas with her husband, dogs, and cats, where she enjoys long walks and the beach as often as possible, and knits—rather badly. This entry was posted on Saturday, February 2nd, 2013 at 6:59 AM and is filed under BOOK REVIEWS. You can follow any responses to this entry through the RSS 2.0 feed. You can leave a response, or trackback from your own site. You are very welcome, Maxie. Thanks for stopping by!